Some of you may not know this, but aside from hoarding collecting makeup and skin care goodies of all kinds, I'm a bit of a sucker for fragrances too. 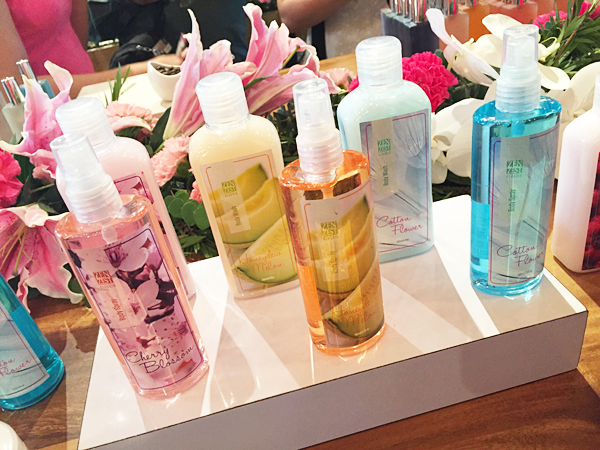 Perfume, linen sprays, scented oils...you name it! 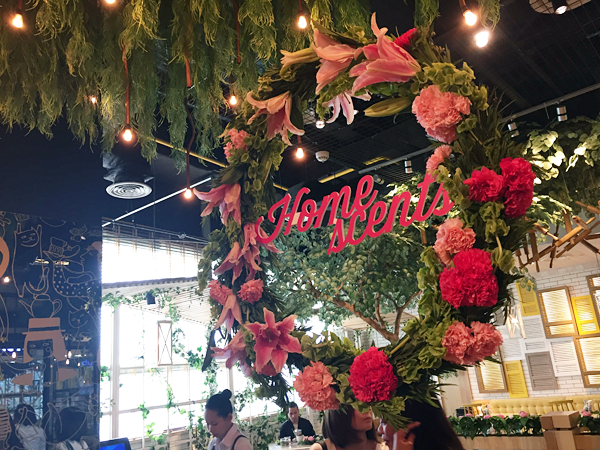 As you'd expect, when my good friend and fellow blogger Liz from Project Vanity invited me to celebrate Zen Zest's 15th anniversary, there was definitely more than a whiff of excitement and anticipation in the air. 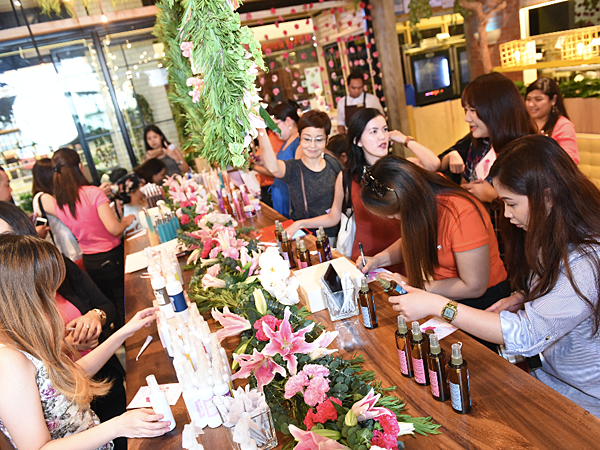 The Zen Zest story: "Fifteen years ago, Michelle Asence-Fontelera noticed how expensive imported bath and body products were and how no local brands provided the same good quality at affordable prices. Hence in 2001, Zen Zest was born. It was Michelle’s answer to the need of every Filipina to elevate her beauty, style, and home without breaking the bank." 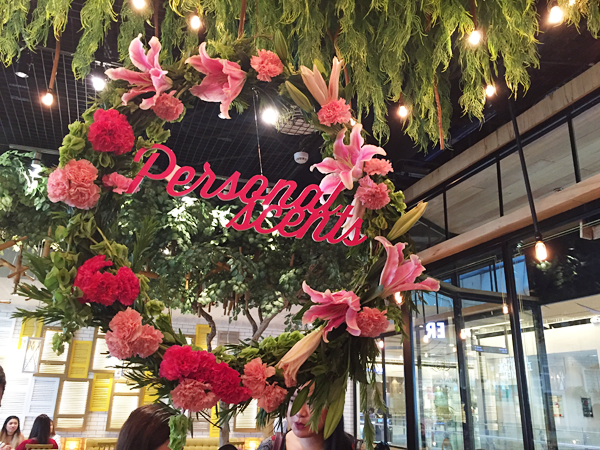 The event was held at Le Petit Soufflé, a French-Japanese bistro located in Century City Mall. 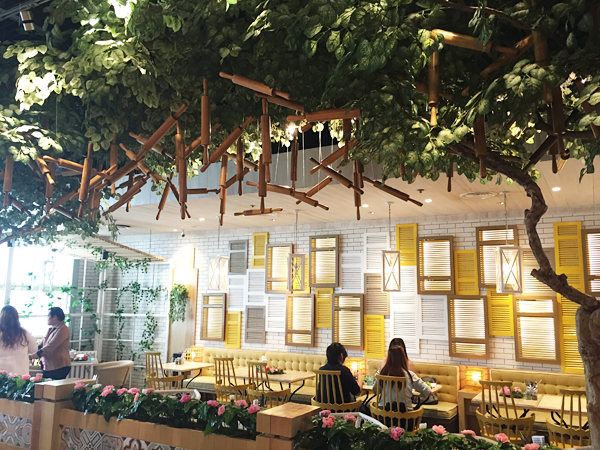 This was my first time visiting the establishment and I was impressed right off the bat with the place's interior. It's unique, cozy, and bright with a hint of quirky. Check out those hanging rolling pins and misaligned window frames! 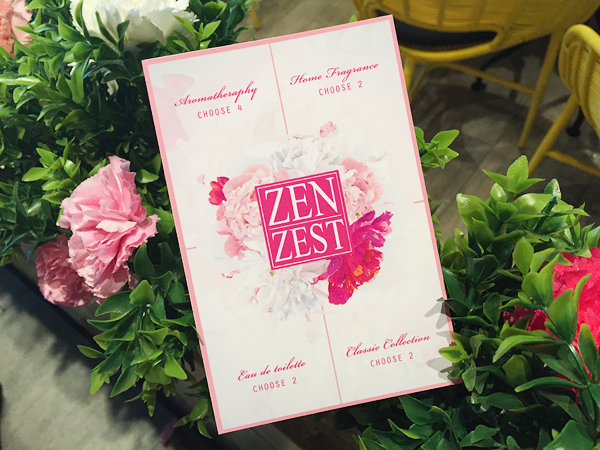 Of course to celebrate its big day, as well as a huge milestone, Zen Zest had something special planned for us guests - a fragrance buffet! Behold my 'buffet card' which I used to get myself some Zen Zest loot; namely 4 Aromatherapy products, 2 Home Fragrance products, 2 products from their Eau de toilette line, and 2 products from their Classic Collection. Guests 'sampling' the beautifully decorated fragrance buffet and making their selections which, trust me, wasn't easy to do! The personal scents section of the buffet was the first one I headed to. I always try to make sure I smell fresh and fragrant all day long, so you can understand why. They had a good selection of body scrubs, body sprays, and lotions to choose from. Here's just a small sample! 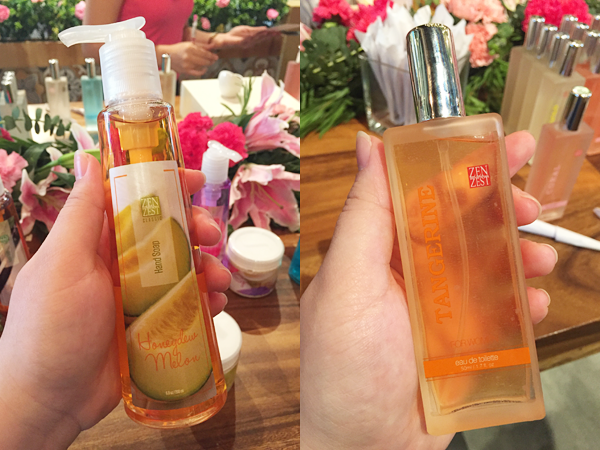 There were also hand soaps, like this Honeydew Melon soap (Php100.00 each), and one of their eau de toilette scents in Tangerine (Php230.00 each). The home scents section was probably the busiest part of the buffet. Everyone, myself included, was eager to grab something to have our abodes smelling extra wonderful. One of my choices was their Home Fragrance in Forest Bamboo for my room. It has this light and pleasant scent that instantly conjures up for me images of a breezy, beautiful meadow or forest. Even my dad told me he likes how my room smells all the time now, haha. 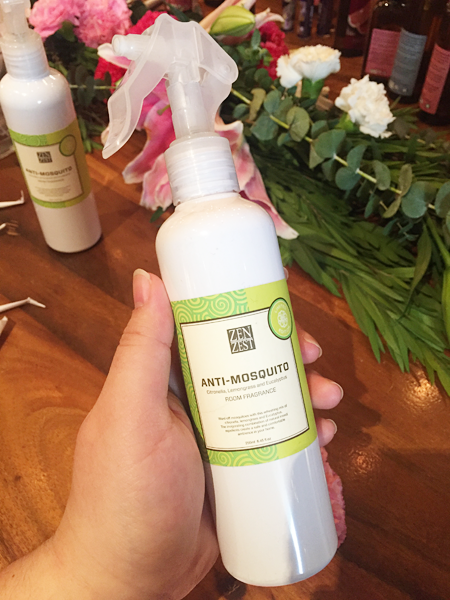 I also wanted this Anti-Mosquito room fragrance (Php300.00 for 300ml, Php150.00 for 150ml) but alas, because it was so popular they were all out of it by the time I could ask for one! 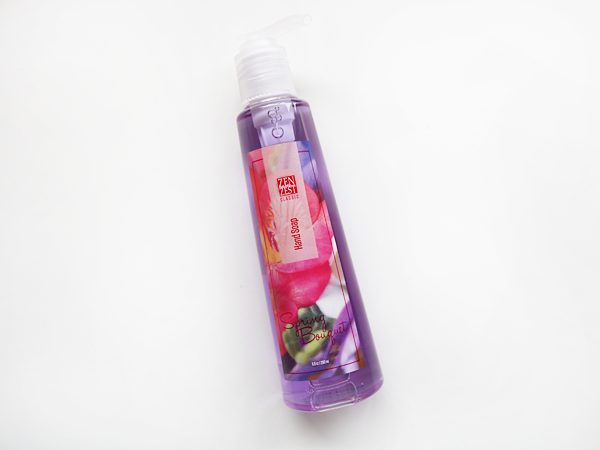 Zen Zest Hand Soap in Spring Bouquet (Php100.00) - The moment I took a sniff of this I knew I had to have it! 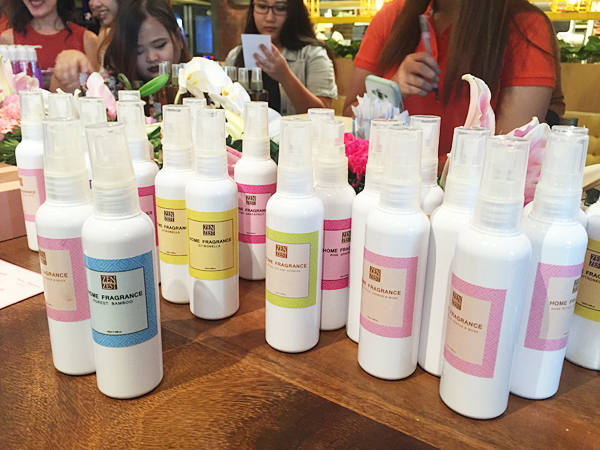 The mixed floral scent is a combination of jasmine, orange, iris, and peach blossom. It isn't overpowering in the slightest, like so many other floral-scented soaps seem to be, and it's probably the loveliest smelling hand soap I've tried to date. It still currently sits by my sink and I've almost used it all up! 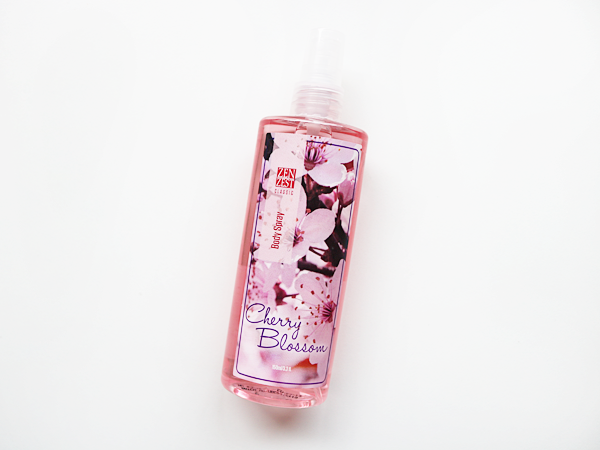 Zen Zest Body Spray in Cherry Blossom (Php200.00) - I had quite a difficult time choosing which body spray I wanted, but I eventually settled on their Cherry Blossom variant. Zen Zest themselves describe it best when they say it's both 'sensual' and 'feminine'. I love bringing this along with me whenever I'm headed out and it's been my daily scent since I got it. 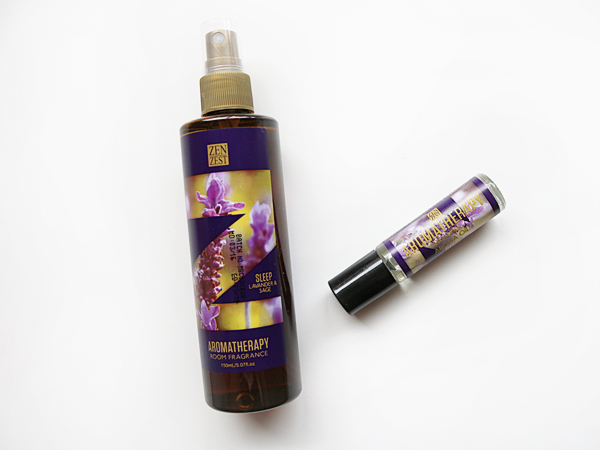 Zen Zest Aromatherapy Room Fragrance in Sleep | Lavender & Sage (Php250.00) and Aromatherapy Roll-On in Sleep (Php120.00) - Lavender is one of my absolute favorite scents ever, especially for use around the home, so there was no hesitation when I chose both of these! The room fragrance is a 'relaxing and balancing aroma' that's supposed to help de-stress you and help you get a peaceful night's sleep. The roll-on, aside from having the same scent, is supposed to have the same effect as the room fragrance but instead you rub it onto your temples just before bed to calm and soothe you into dream land. I can't get enough of how amazing both of them smell! 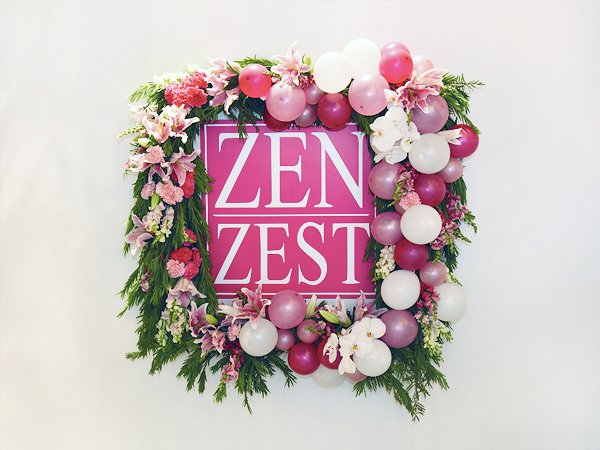 Congratulations Zen Zest for 15 sweet-smelling years and for many more to come! I'm thoroughly enjoying all my personal picks from the event and I hope to drop by the nearest Zen Zest branch soon so I can choose even more to take home. Disclaimer: Some of the featured product/s were given or provided to me by the named company or a representative of the company as gifts. Any opinions given on said product/s are entirely my own and are honest and unbiased.